Having access to top carriers that specialize in serving affluent clients sets you apart from the competition. Big "I" Markets connects you to two of the best for high-value clients. Their underwriting approach is to offer quality coverage at a competitive price, regardless of property age as long as updated within the last 30 years. We all know it's better to avoid a claim than to file one, but hiring risk specialists can be an expense clients might not be willing to pay on top of their premiums. High net-worth clients have more to protect and are more likely to understand the value of a plan to mitigate risks. As an agent you know one large loss can also seriously affect your loss ratios so it's in everyone's interest to do what can be done to prevent that from happening. Verify that the coverage in your homeowners' policy is sufficient in the event of a significant covered loss. Our risk managers and inspection vendors have an eye for circumstances that increase the likelihood of water damage, fires, burglary or accidents that put your loved ones and property at risk. Help you reduce to home's vulnerability to water damage. We can work with you to enhance site safety during your home's construction, maximize your family's safety once it's finished, lessen the likelihood of loss and ultimately save on insurance. Must have existing AIG policy. Inspections with infrared cameras can identify hidden hazards so you can address small problems before they snowball into something bigger. We can help you learn more about your historic home's unique history, as well as give you access to world-renowned experts to help you preserve its legacy. Our Wildfire Protection Unit-the first of its kind-helps reduce your risks and prevent losses. Smart preparation before a storm, combined with quick action immediately after the event, con make the difference between a home that suffers catastrophic damage and one that comes through relatively unscathed. For homes with a replacement cost of $10 million or more, our residential engineering specialists can identify and help you address potential causes of damage before it occurs. Preserving value requires an ongoing effort, and our Art Collection Management team is here to help. Among the services we provide are coverage reviews, vulnerability assessments, emergency planning and more. Our suite of yacht loss prevention services is designed to maximize the security of your vessel, provide further education and training for your crew, and enhance your family's safety and well-being while they're on-board. Personal, confidential security consultations help you evaluate the risks you face and how you can protect against them. Some preventative steps you take to address those issues may also enable you to reduce your premiums. Access to background checks through a highly reputable screening firm, enabling you to screen current or potential employees. AIG's Private Client Group homeowner coverage is available for dwelling replacement cost coverage valued at $500k or more in most states. AIG's Private Client Program and is available to registered members in all states. Visit Big "I" Markets and click on Affluent Program - New Business to learn more! Why Should You Turn to the Big 'I'? Whether you're leveraging the fastest-growing consumer brand, protecting your business with superior E&O coverage or making sure your voice is heard in the halls of Congress, the Big "I" has you covered. As a Big "I" Markets agents you're already taking advantage of a key member benefit. So what else could you be benefitting from through your national association? Take just two minutes to surf over to YouTube and learn how your Big "I" membership can provide big value, big returns and a big edge over the competition in this new video-and spread the word on social media! We're so proud to have you as a member and to serve you every day. 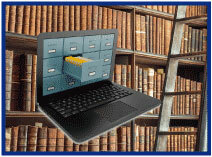 An archive is an accumulation of historical records or the physical place they are located. The computer version of an archive involves either compressing an individual file or combining multiple files into one making them use less disc space. This also means opening the specific file will take longer. The National Archives in our nation’s capital actually contains both types; physical documents and computer files. Most of the most important American documents are stored there including the Declaration of Independence, Constitution, and The Bill of Rights. Seeing how faded these three founding documents are really emphasizes the need to preserve them. While not anywhere nearly as valuable, the yearly Two for Tuesday Archive is still important as it is organized by subject. Compare it to the archive listings under BIM or the Archive link at the bottom of every Two for Tuesday. Those are organized by publication date. Please keep in mind that the products and eligibility may have been revised or discontinued since the original article was written. Review the "Information" page for each product on Big "I" Markets for current content and instructions. Join us to learn about a number of exposures facing insurance agents that have plaintiff attorneys licking their chops! The webinar will not only identify the exposures, but also give you the tools you need to reduce your agency’s risk of Errors & Omissions (E&O) Claims. The discussion will feature a Member Insurance Agent, Virtual Risk Consultant Representative, Swiss Re Claims Specialist, as well as E&O Defense Counsel. If you have any questions relating to the topic that you would like addressed during the discussion, please email Jim Hanley. 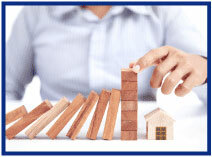 Learn more about risk management resources available to your agency at www.iiaba.net/EOHappens. Congratulations to our agent in Florida on an Eagle Express sale of $4,885 in premium!